Going worldwide with your business is a wonderful and scary time. As your product garners international attention, you might rejoice in the orders while wincing at the high international shipping costs. Export appears more complicated than it is, and while there’s a learning curve, there are ways not to face plant yourself right into it. Let’s start with a hypothetical store clear across the world from you in Australia, who found you on the Internet, and has placed an order through your eCommerce website. Taking the order is easy, but you will need to convert the currency. Australia’s dollars aren’t exchanged 1:1 with American dollars; a currency conversion site or app can help you keep track. Once you’ve filled the order and arranged payment, it’s time to consider how the order will ship. Shipping services Australia are much like shipping services anywhere else – mail, express carrier (like UPS or FedEx), air freight (airline cargo services), and surface freight (sea cargo). You will also need to consult customs agencies in both countries in order to comply with regulations and tariffs that may apply. Yes, it sounds complicated, but so is learning any new skill, and learning how to ship anything to anywhere is a good one for a seller to have. First, look at the size of the shipment. 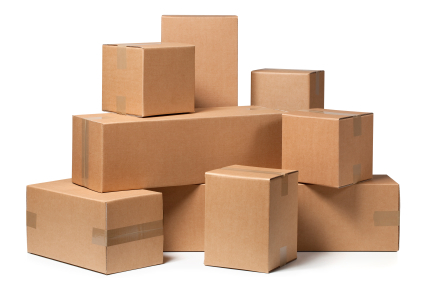 Is it small enough to be a one or two box delivery to your client? Is it time sensitive? If the shipment’s small enough and you don’t mind waiting, shipping by mail could be an answer. The US Post Office offers USPS Priority Mail Express International offers flat rate boxes up to 20lb and regular parcels up to 66lb total, with delivery in six to 10 business days, and options to insure up to $5,000replacement value for the goods. USPS First Class Package International will deliver for less, but without a specific delivery window. In short, it gets there when it gets there. The next option costs more, but express carriers like UPS and FedEx offer time-definite delivery, typically from three to six days. And while you still need to fill out the customs forms, companies like these companies will rout your package or pallet through their own customs brokers, who will shepherd your shipment through customs and onto the truck for delivery. If your package is very time-sensitive, you will want the security of tracking ability, the options of expedited shipping, and a defined delivery window, as well as confirmation of delivery. Air freight is an option for larger shipments, offered by both express carriers like UPS and passenger airlines like Quantas. However, it is best if both you and your client are near a convenient airport. In most cases, the ‘Conditions of Carriage’ specify the airport as the delivery point. Essentially, you bring it to the airport packed and ready to go, put the goods on the plane, and your client picks up the package at the airport on the other end. Any transportation farther than that will need to be arranged by the receiver. Surface – or sea cargo – shipping is a specialized area with a high base cost, and used only for the largest shipments of goods. This shipping method is generally handled through a broker who will pick up and load your prepacked pallets and containers for you. As with air freight, shipping is from port to port only, with any further transportation need to be arranged from the destination port. With all your options firmly in mind, you can bring new confidence to your international dealings, and impress your clients with timely fulfillment and professionalism. Escape Rooms for Team Building, Why Not?